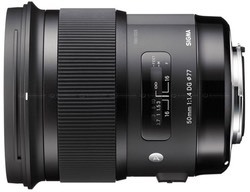 Sigma today announced a new version of their 50mm f/1.4 EX DG HSM lens. This represents a complete rethink of the lens, with a new optical formula that avoids the old double-Gauss formula and looks much more like you'd see in retrofocal wide angles. Overall, it looks a lot like another lens in Sigma's new Art series, the 35mm f/1.4. For a 50mm it's a bit longer than you might expect, but Sigma says the payoff is in the way it renders, with lower sagittal coma, lower chromatic aberration, miminal distortion, and high resolving power. 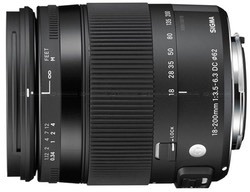 Also introduced was an update to Sigma's 18-200mm f/3.5-6.3 DC Macro lens for crop sensor cameras (Nikon DX). Changes include a shorter focus distance, slightly smaller, and lighter than the predecessor (2011 version).